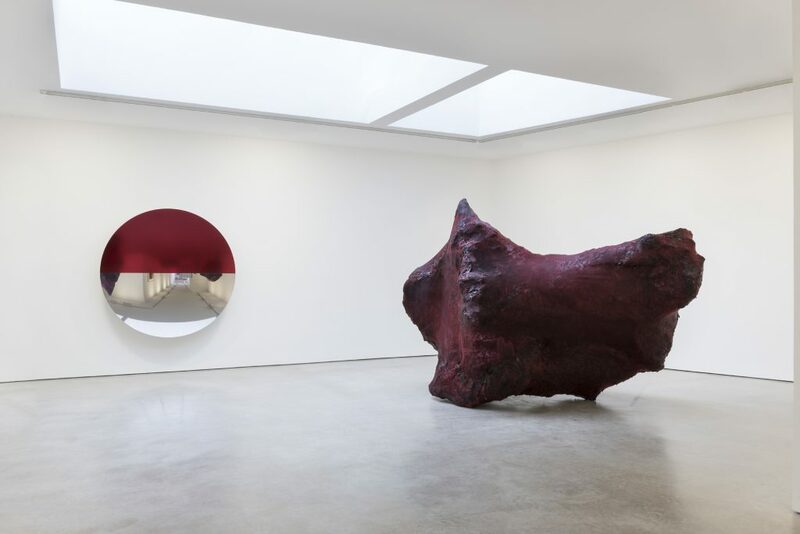 Anish Kapoor, one of the most influential artists of his generation, presents a major exhibition of new work at Lisson Gallery London, marking his sixteenth exhibition with the gallery. 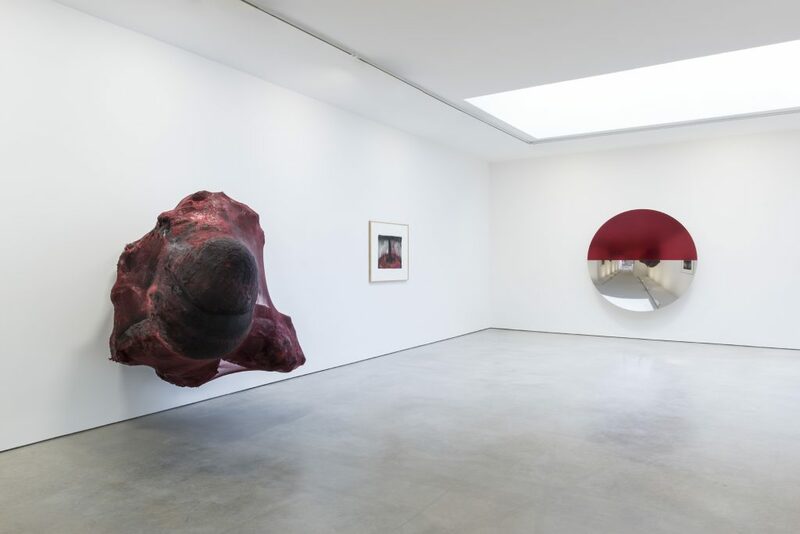 The show explores the affective nature of painting from the multiple perspectives of Kapoor’s varied working practice. 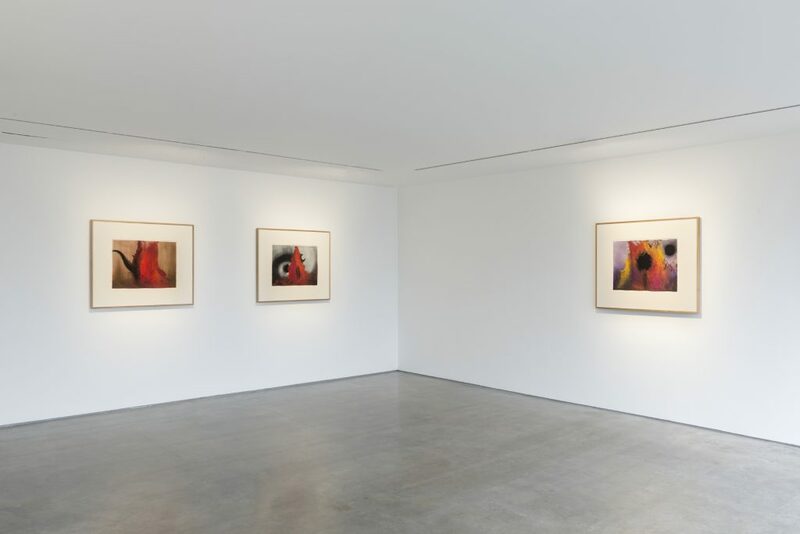 His works evince overlapping dimensions, at once image and object, illusion and representation, substance and skin, surface and depth. 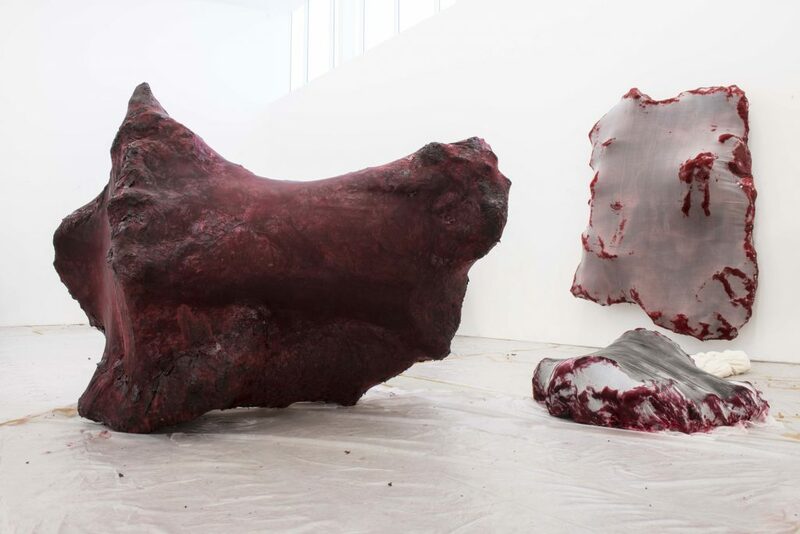 The exhibition debuts three large-scale, amorphous, hybrid forms that exist somewhere between paintings, sculptures and anamorphic objects. These signal an important development into sculptural objecthood from the expressive silicone ‘paintings’ that premiered in the artist’s last London show two years ago. 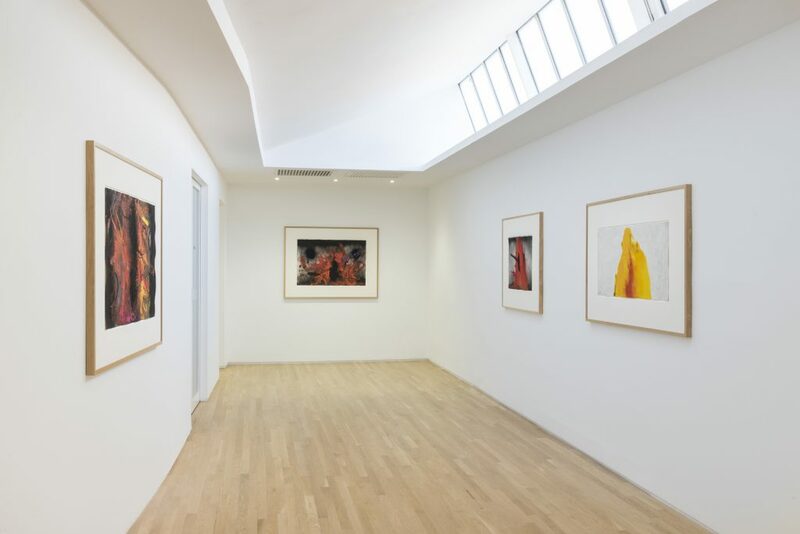 The exhibition features work further exploring the shift between two and three dimensions, including a pair of red stainless steel mirrors – employing different types of reflectivity – as well as a number of significant gouache works on paper made over the past six years. 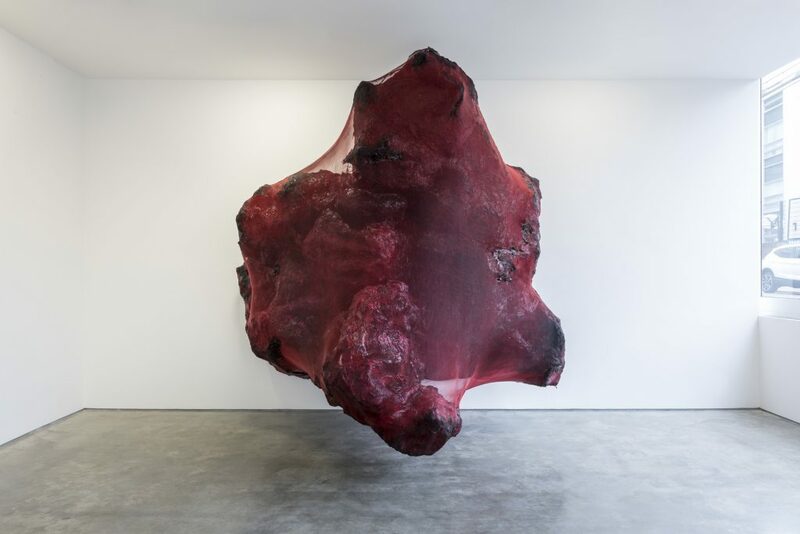 The artist’s actions, whether by hand or fabrication, simultaneously build and tear apart the substance of the world, veiling and unveiling its image. 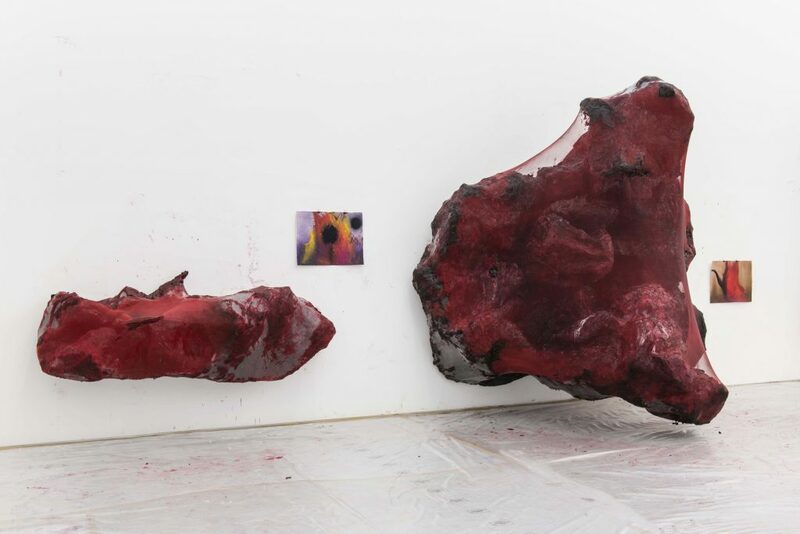 These latest developments relate to and expand on a series of experiments with painted silicone that Kapoor has been working on for many years, but showing only recently, including the triptych of paintings Internal Object in Three Parts (2013-15). 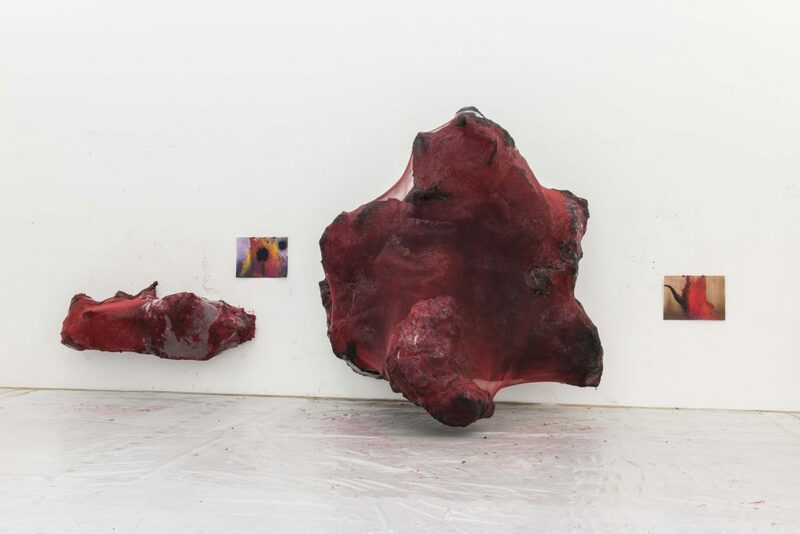 This work was first exhibited at Lisson Gallery London in 2015, and then travelled to the Rijksmuseum, Amsterdam later that year and were shown alongside a wider selection at MACRO, Rome from December 2016 until April 2017. 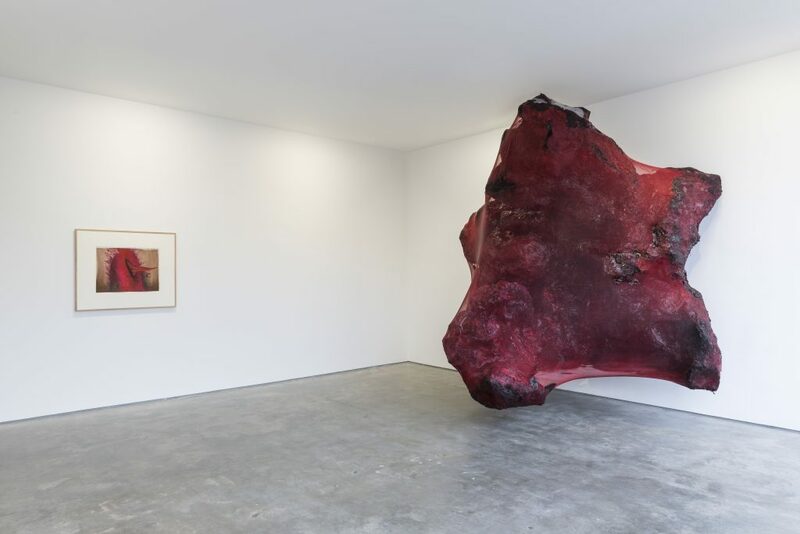 The exhibition foregrounds a maroon-red palette of colours, darkening to an earthy black, continuing his interest in the interior void and the ‘dirty corner’ of the world’s material and psychic realities. Even his concave polished mirrored works are here complicated by a coating of hazy matte colour with a seductive satin surface, which blurs and softens the reflection of space including the viewer. 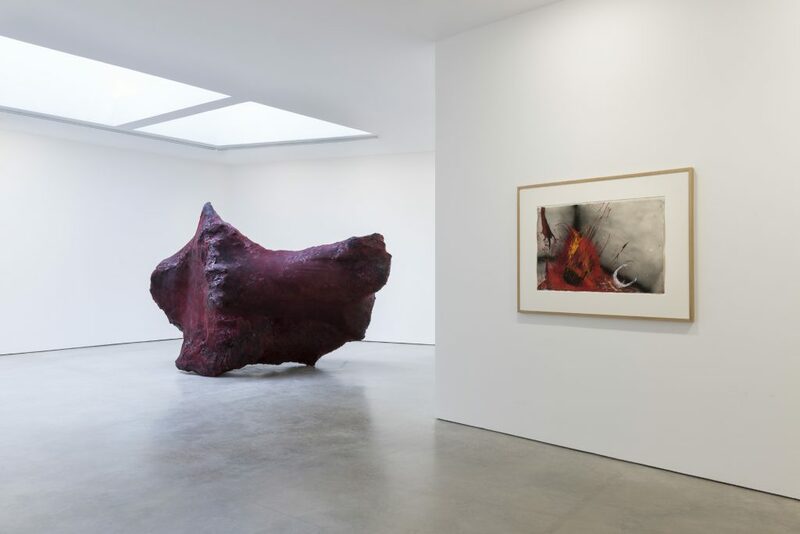 A rare presentation of recent works on paper sees Kapoor utilising paint to similar, visceral effect. 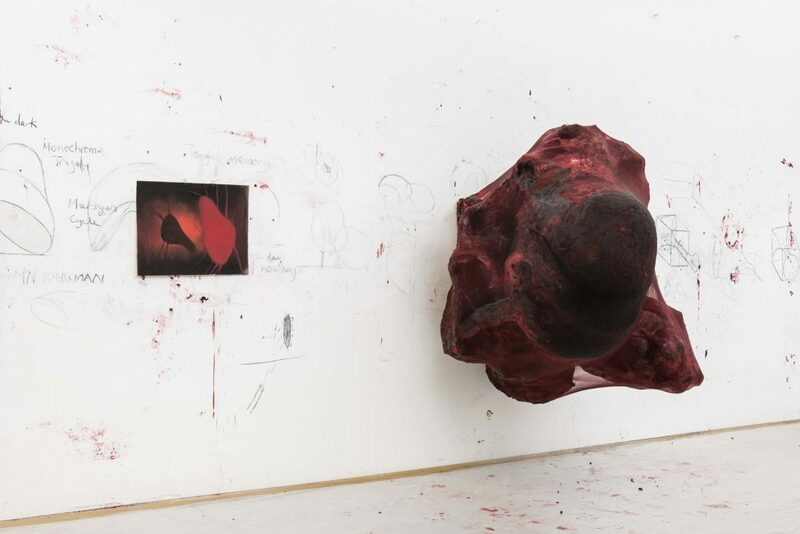 Ranging from the apocalyptic and abstract to transcendent and gestural, the leap from paper to object is palpable without these works being containable as drawings or studies towards larger pieces. 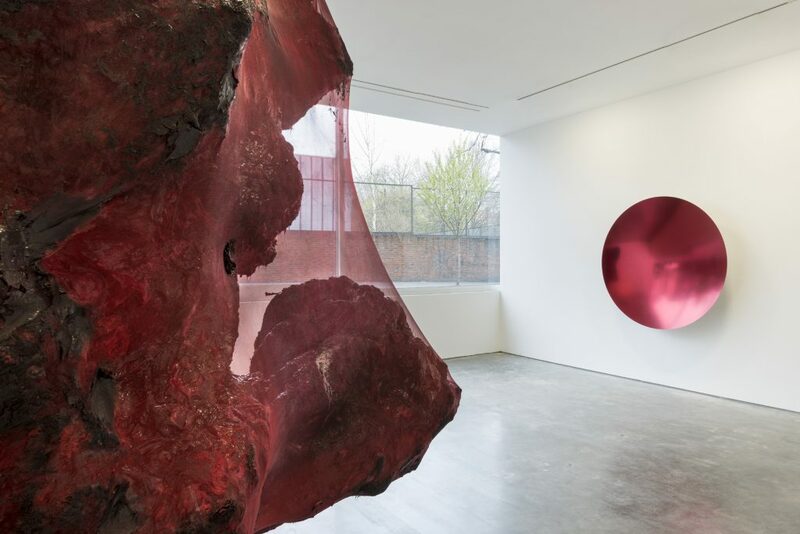 Anish Kapoor Installation view, Lisson Gallery London, 2017 Photo by Dave Morgan © Anish Kapoor; Courtesy Lisson Gallery.